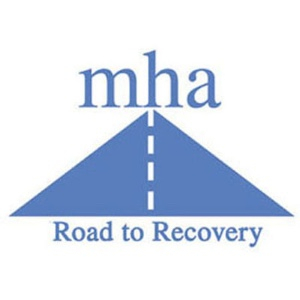 MHA is a peer operated and participant driven organization serving and providing alternative programs to those who struggle with mental health and/or substance use issues. $5 will buy toilet paper. $8 buys bus transportation for a day. $15 will purchase laundry soap. $50 will buy Recovery Wellness Action Plan Books for 5 people. $285 funds an individual’s stay in one of MHA respite houses for a night. $100 funds an hour session of MHA’s Wellness Recovery Action Planning. Sadarah stayed at Keya House in 2009 and again in 2011. She was struggling with mental health and substance use issues. In 2014 she and her family were struggling and she found herself being dishonest at her job. She got honest and quit her job. She wanted to stop the cycle and do something different with her life. She reached out to Keya House again and found the resources to move forward. She started volunteering, learning to provide peer support to others that were trying to get to a better place in life. Eventually she was hired by MHA. She worked part-time at first and then full-time at Honu Home with individuals transitioning out of corrections. This then led to a position as an employment specialist helping people obtain and maintain meaningful employment. Before Keya House she had been in and out of hospitals and treatment centers since the age of 19. Since the Keya House she has stayed out of the higher levels of care. Her family of 4 has grown to 6 and they have a place to call home. She has gone back to school and she is able to care for her kids. The Keya House taught her how to take control of her own life and learn new recovery skills that enable her to live a meaningful productive life.